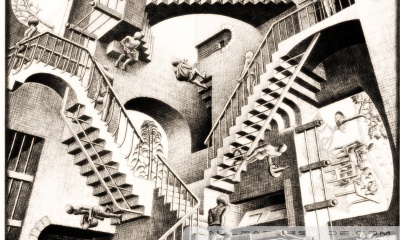 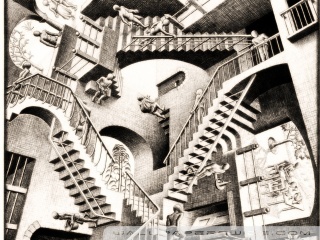 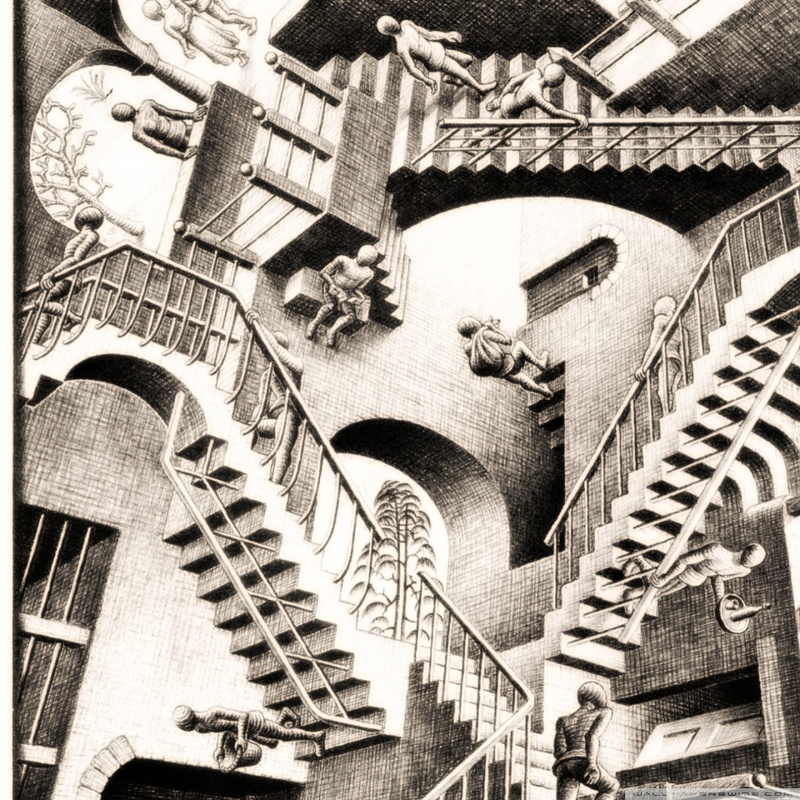 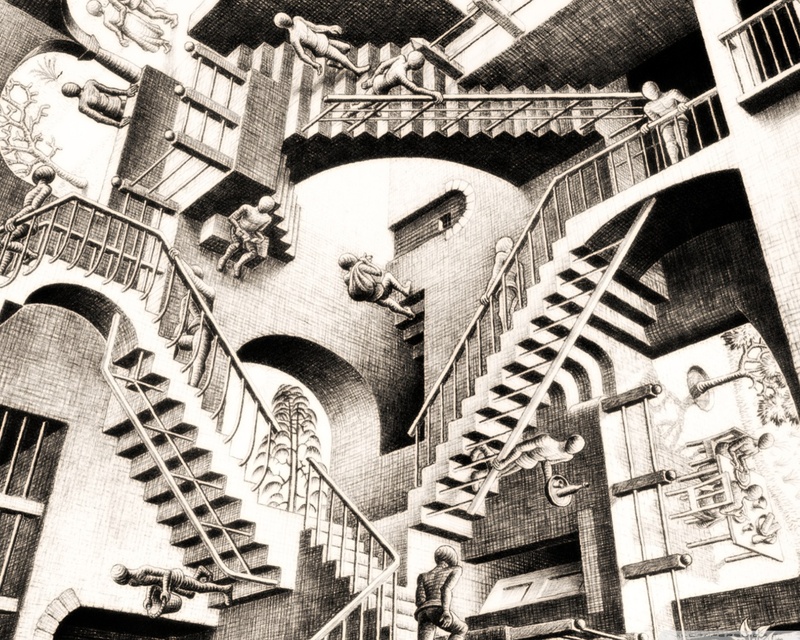 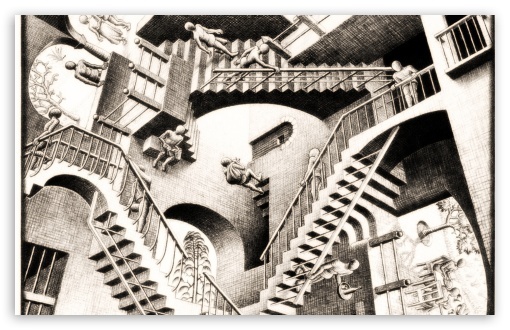 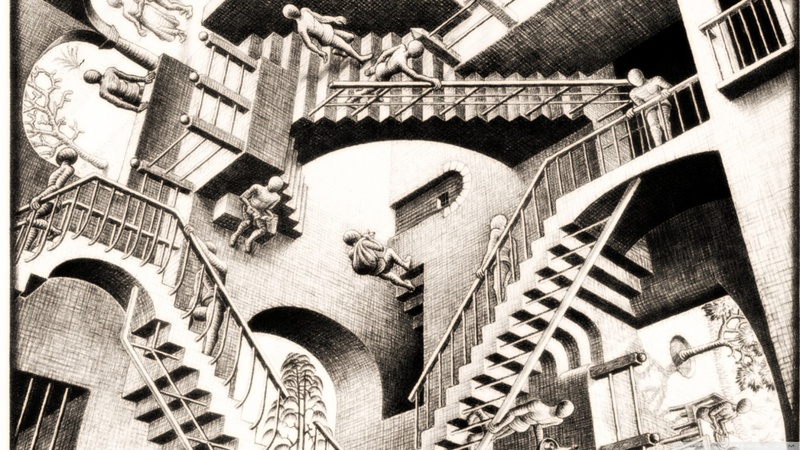 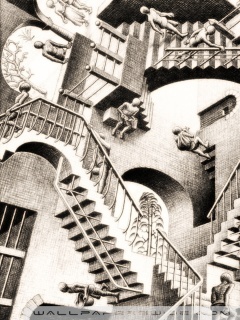 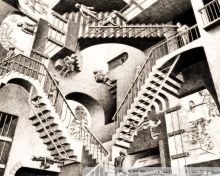 This is Escher's work, titled Relativity. You guys might want to rename it. 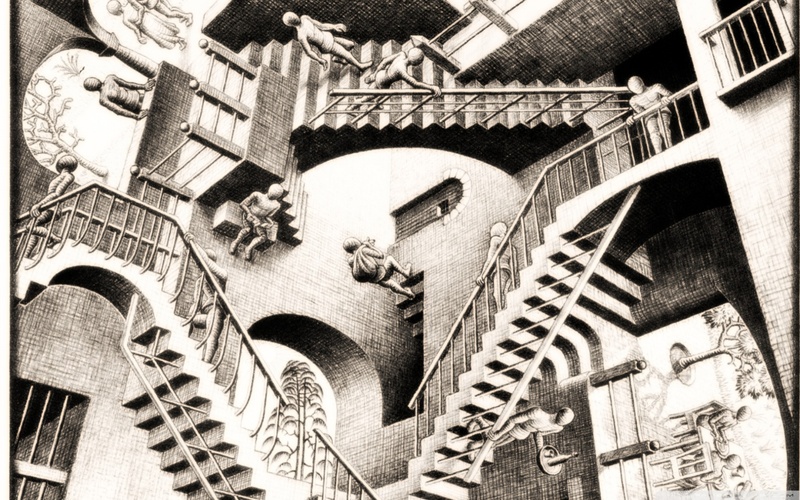 Thanks for noticing, renamed it to correct title now.